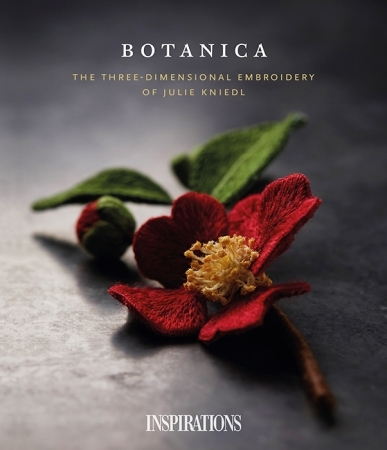 Botanica – The Three Dimensional Embroidery of Julie Kniedl from Inspirations Studios. This stunning book includes 12 projects, all using simple stitches and a handful of techniques to create elegant and realistic interpretations of natural subjects. Each piece is captured with stunning photography and detailed instructions are provided for every step.